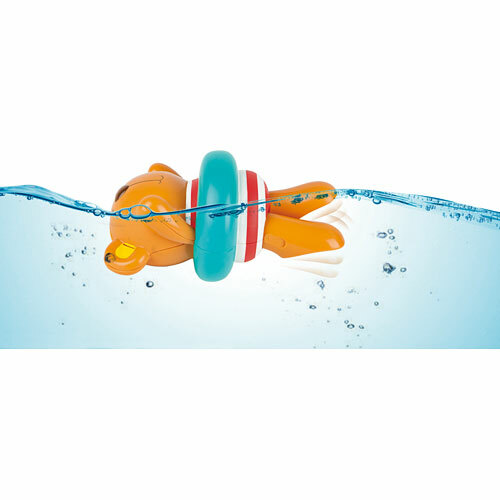 Get ready to go for a great big swim! 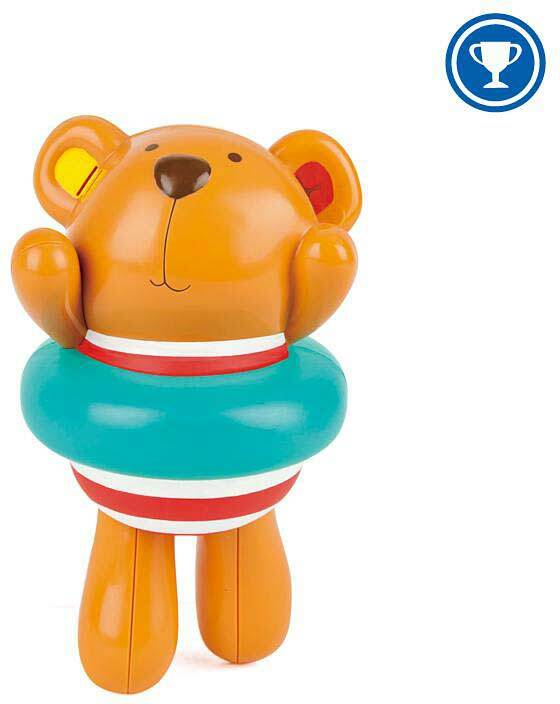 Or at least to help this adorable teddy complete the journey! 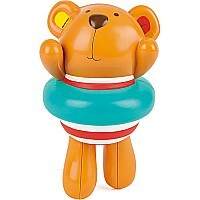 Dressed in an adorable striped swim suit ensemble and secured with a bright blue swim ring, this little teddy just needs to be wound up and is ready to swim around the tub, pool, and more! 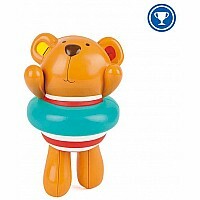 Encourages little ones to engage in water play and learning. 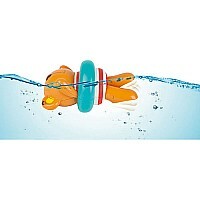 Measures approximately: 7.09 x 4.53 x 7.09 inches..